The Pacific Northwest Historics features many of the world's rarest and most beautiful pre-1972 race cars. 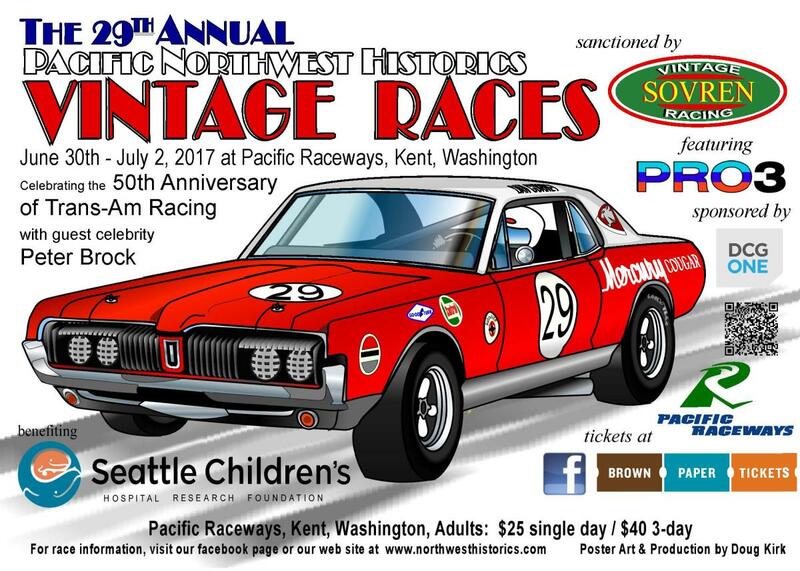 The featured marque for the 2017 Pacific Northwest Historics will feature a great guest celebrity and a salute to one of the most significant races ever held at Pacific Raceways. It’s the 50th anniversary of the 1967 Trans-Am race which decided the season championship. The Historics weekend is the feature event and a top draw for vintage racers all over the west. Guest celebrities have been a big part of this event; Peter Brock will be there for 2017! Car corrals, a great vendor’s row, and especially the Saturday evening salmon BBQ help make this event special. 5:00-8:00P: Food Truck Friday, free admission to track.